Heating your home in the winter is important to keep you warm and comfortable. But heating your home also makes the air turn dry, which leads to health problems and sleeping issues caused by dry, irritating coughs, dry skin, asthma attacks and dry eyes. One way around this problem is by using a warm mist humidifier. Using a warm mist humidifier during the colder months can help you avoid the problems associated with dry air in your home caused by your heating. Home Health Living has compiled a list of the top 4 warm mist humidifiers for 2019, and shares information, advice and tips on choosing the best warm mist humidifier. What’s better: a warm mist or cool mist humidifier? The TaoTronics Warm and Cool Mist Humidifier is an all-in-one humidifier and essential oil diffuser, giving you the option of a warm or cool mist using your favorite essential oils. It features a 1.58-gallon capacity water tank (6 litres) which is enough to allow the humidifier to run overnight, perfect for bedroom use. The unit shuts off automatically once the water level drops to a certain amount. There are three different mist output modes you can choose. There is also a preset humidity level option, that allows you to set the desired humidity level. There is a control lock and a timer mode. The night mode is great for reducing humidifier light and noise, to help you sleep better. 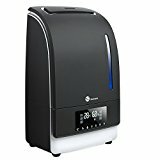 The TaoTronics humidifier is stylish and suitable option for those who need to use a humidifier year-round, as you can choose whether the humidifier disperses a cool mist or warm mist. You can easily switch between both temperature modes. The unit can heat the water up to 101 degrees (or 38 degrees Celsius) in under 30 minutes. Bacteria thrives in warm environments, and a warm mist humidifier can often lead to bacteria and mold being dispersed with the vapors. However, the TaoTronics humidifier features a built-in water filter that removes bacteria and bad odors in the water. It also features a disposable air filter that filters the air to prevent dust from spreading. This is a common issue with cool mist humidifiers. If you love using essential oils, the TaoTronics humidifier has a separate oil container that allows you to add around 5 to 6 drops of your favorite essential oils. Depending on the essential oil brand and type, you could experience up to 3 hours of vaporization of your essential oil aroma. The TaoTronics humidifier comes with a touch sensitive LED display. The unit comes with a 12-month warranty, and the option to extend it by another 6 months if you register the product. Vicks is a well-known brand that has been around for many years, which is why its humidifiers are still one of the most popular on the market today. The Vicks warm mist humidifier is a popular humidifier option, especially for those who have health issues in the winter such as coughs, colds and asthma attacks. We think the Vicks warm mist humidifier is a popular option because it includes a medicine cup, that allows you to use the Vicks Vaposteam or Kaz Inhalant. This produces a medicated vapor which soothes you if you have cough or cold. Many parents love this! We used a Vicks unit in our kids’ bedroom many years ago when our kids were sick- it really helped soothe their chesty coughs and helped them sleep better. The humidifier has a 1-gallon capacity (3.78 litres) water tank, that allows the humidifier to operate for up 12 hours before needing to be refilled. The translucent water tank allows you to easily see the amount of water remaining. But don’t worry if you forget to check- the unit has an automatic shut-off function for when the water level is too low. There are two settings available on the humidifier: high and low. The high option is great for when you need maximum moisture or when you are using the humidifier in a large room. The low setting is better if you only require a small amount of moisture, or if you are using the humidifier in a small room. 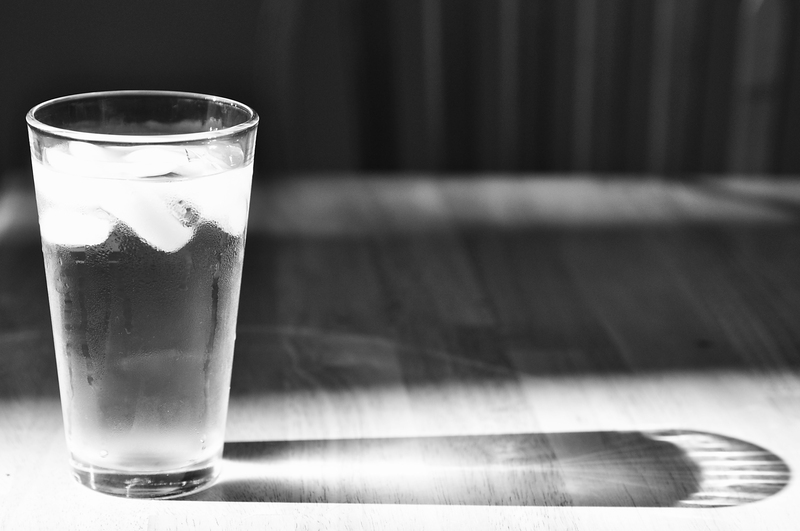 Of course, using the low setting means that you won’t run out of water as quickly as the high setting, and the unit will operate for longer without needing the tank to be refilled. The unit has a quiet operation, which is important if you’re using the Vicks warm mist humidifier in your bedroom or your kid’s bedroom or baby nursery. Also, if you’re using the Vicks warm mist humidifier in a baby nursery, there is soft glowing light which kids find soothing. The Vicks warm mist humidifier is filter-free. You don’t need to worry about replacing filters and having an ongoing cost to maintain the unit. There is a 3-year warranty. The Honeywell filter free warm moisture humidifier is a great option when you are wanting to humidify a medium-sized room and not worry about replacement filters. The unit is filter-free, so there’s no need to worry about expensive ongoing filter replacements. It has a water tank capacity of 1 gallon (3.78 litres) which, on the lowest setting, gives you 24 hours of usage while on the highest setting, around 9 hours usage before needing to be refilled. The translucent water tank allows you to see how much water is in there. Once it drops to a certain level, the Honeywell warm mist humidifier will shut-off automatically, so you don’t have to worry that you will forget to switch it off. There is also an indicator light when it is time to refill the water tank. Similar to the Vicks warm mist humidifier, the Honeywell warm mist humidifier comes with a medicine cup that you can fill with an inhalant. The soothing vapors will help ease symptoms of a cold or cough, and may help you sleep better at night. If you’ve been searching for an Air O Swiss humidifier, then you may not be aware that the company has changed its name to Boneco. So Boneco humidifiers are essentially the Air O Swiss. Although we were impressed with all of Boneco’s humidifiers, we particularly like the Boneco Warm or Cool Mist Ultrasonic Humidifier. What we like most about this model is that it gives you the option of choosing a warm or cool mist mode. As we’ve discussed both in this post and on our review post of the best cool mist humidifiers on the market, both options have its advantages and disadvantages. Having both a warm and cool mist mode allows you to use the humidifier throughout the year, and to adjust the setting according to individual preferences. If you are wanting to use the humidifier in a number of different rooms, this may be helpful. For example, you can choose the cool mist setting when the humidifier is being used in a child’s bedroom. Or if your baby has a cough, you can choose the warm mist mode at night when the baby is sleeping. The water tank has a large capacity of 3 gallons (11.35 litres) which gives you a running time of up to 24 hours in a room 600 square foot. There is an inbuilt hygrostat which measures the humidity level and adjusts the humidifier output accordingly. This occurs when you use the auto mode. Just program the desired humidity level on the digital display and the humidifier will do the rest. The Boneco humidifier has a quiet operation, so it is suitable for use in a bedroom at night. Many of the top brand humidifiers come with the option or warm or cool mist within the same unit. This suits those people who need to use a humidifier year-round. The answer to this question very much depends on the individual’s needs. Many people only use a humidifier during the warmer months, when the heating in their homes creates dry air. These people prefer a humidifier that disperses warm mist, in order to maintain the existing temperature in the room. Many warm mist humidifiers come with a medicine cup so that you can use an inhalant. This is great, because you’ll have soothing vapors filling your room, easing cough and cold symptoms and helping you sleep better at night. This is one of the reasons the Vicks warm mist humidifier is popular, especially with parents of young children. A cool mist humidifier doesn’t omit cold mist, but rather room temperature mist. However, many people prefer a warm mist dispersion in the wintertime. This is especially important for parents of babies and young children. If you are looking for the best humidifier for baby room or nursery use, then you may prefer the best warm mist humidifier instead of a cool mist humidifier. However, care needs to be taken to keep the humidifier out of reach of children, who may burn themselves. The downside to using a warm mist humidifier instead of a cool mist humidifier is the increase in energy costs. A warm mist humidifier needs to heat the water before dispersion, and so uses more energy. A cool mist humidifier can cover a larger area than a warm mist humidifier, since heat rises. The warm mist humidifiers that we have chosen and reviewed here all have different price ranges. If you are looking for a budget option warm mist humidifier with basic features, then the Vicks and Honeywell warm mist humidifiers would be the best choices for you. The TaoTronics and Boneco warm or cool mist humidifiers are more expensive. As they have warm and cool mist options, the units are larger and have more parts and functions. They also have more features, such as programmable settings. If you have more to spend, and prefer an all-in-one unit that gives you the choice of choosing warm mist or cool mist functions, then the TaoTronics and Boneco humidifiers would be the best humidifier choice. As with choosing any type of humidifier, warm mist or cool mist humidifier, it’s a good idea to consider the size of the room that you are wanting to use the humidifier in. For larger rooms, a large warm mist humidifier would be a better option, because it would have the capacity to fill a larger room more efficiently than a smaller capacity warm mist humidifier. The TaoTronics warm or cool mist humidifier and the Boneco warm or cool mist humidifier are suitable for rooms up to 600 square feet. They run on different settings, so if you have the high setting, more mist will be dispersed. On the other hand, if you are going to use the humidifier in a small or medium room, then a smaller sized humidifier would do the trick. For this reason, the Vicks and Honeywell warm mist humidifiers would be a good option. Another feature to consider is the capacity of the water tank. This will impact on how often you will need to refill the water tank. The Vicks and Honeywell warm mist humidifiers both have 1-gallon water tanks, with the TaoTronics having a 1.58-gallon water tank capacity. The Boneco warm or cool mist humidifier has a large 3-gallon water tank capacity. Not only does the size matter, but also what setting you have the humidifier on. On a high setting, as more mist is dispersed, the water tank will empty faster than when the humidifier is on a low setting. It’s also a good idea to use filtered water for your humidifier to prevent white dust. All of the humidifiers reviewed in this post are suitable to use overnight without needing to refill the water tank. Whether you are looking for the best baby humidifier for your child’s nursery, or are wanting a humidifier to help you relieve symptoms of colds and help you sleep better at night, buying the best warm mist humidifier will certainly help you relieve dry air and add much-needed humidity. When making your final decision, consider your budget, water tank capacity, room size and desired features. If you aren’t sure about whether to buy a warm or cool mist humidifier, you can buy a humidifier that gives you both warm and cool mist options. Or you can read our post about the best cool mist humidifier, before you make your final choice. Disclaimer: This post contains affiliate links. If you make a purchase via one of these clicks, we may be paid a small commission. Thank you for supporting our family!